If you don’t know who you’re aiming your products, beliefs, and services at, chances are you won’t do a particularly effective job at marketing them. One of the most exceptional means of creating content and planning promotional campaigns that engage your target audience in a meaningful way is by creating deep buyer personas. What is a buyer persona, you say? In short, a buyer persona is a profile that embodies your perfect customer. By crafting buyer personas from scratch, you’ll gain the power to tailor your marketing efforts to the right target audience, in turn solving their problems, meeting their needs, and sparking up meaningful dialogues that will lead to increased brand loyalty. As we all know, in this digital age, brand loyalty is absolutely essential. Despite this, almost 80% of businesses spend less than 30% of their time and budget on customer retention-focused messaging and content. However, this is not going to be you. Because you’re going to create a buyer persona that will help you engage your target audience in the right way and start meaningful consumer relationships that, as we said, not only boosts brand awareness, but encourages long-term customer relationships. According to an important study, three to four buyer personas generally account for around 90% of the average company’s sales. In our essential guide, we’re going to demonstrate how to create buyer personas that build your audience, develop your business, and help increase your sales. When forming the foundation of your buyer persona, you need to understand that you’re building a personality that represents a crucial segment of your target audience. That said, step one comes in the form of thorough market research. To get under the skin of your potential customer base, you’ll need to collect data to gain a better insight into what they’re looking for, what they want, and the problems they need solving. To do so, you should publish surveys and polls on your key social media channels by interviewing your existing customers personally and looking at the efforts of your competitors to see how their audience engages with them digitally. These insights will help you understand who you’re speaking to on various channels and what they might need from you. 81% of consumers want brands to get to know them and understand when to approach them. What’s more, personalised marketing campaigns drive 18 times more revenue than methods like blanket emails, so it’s essential to gather as much information as you can from the start of your buyer persona journey. Creating a Facebook poll is fairly quick and easy, and platforms such as SurveyMonkey prove particularly useful as they’re not only user-friendly, but many of them offer phrasing suggestions to help you get the best from your survey. Once you’ve gained all the information you need from your market research phase, it’s time to move into the next step. You might be creating a human-like persona to help you drive sales, but two-thirds of your journey comes in the form of website analytics: insights that can help you dig deep into the thoughts, feels and motivations of your audience. In today’s world, digital data is a big deal. According to a study from IBM, by 2020, 10 billion mobile device will be in active use. What’s more, Google records over one billion searches every single day. That’s an incredible amount of data right there, and it’s just the tip of the iceberg. 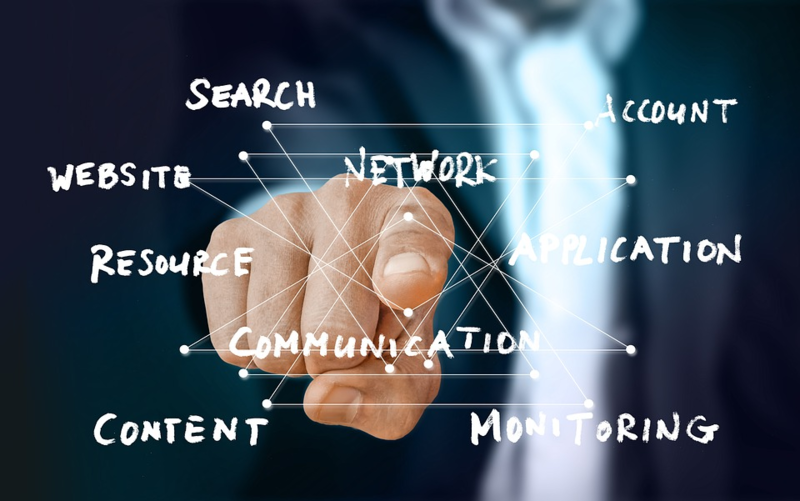 The point is: digital data can help you to strategically focus your marketing efforts and connect with potential consumers in a valuable, meaningful manner. So, within the realms of your site’s analytics, you’ll be able to view where your visitors came from, the keywords they used to locate your business, and their bounce rate (how long they stayed on your website after logging on). This level of data is critical for creating buyer personas because it demonstrates the search terms that led your audience to you, in addition to the devices and platforms they used to reach your site. These are all valuable metrics that will help you build the most effective buyer persona possible. If you’re using Google Analytics, setting up separate reports on user demographics (age, location, gender, etc. ), user interests (hobbies, interests and market categories), and source & medium (where customers came from and from which device) will give you all of the information you need, alongside your market research data, to start building your buyer persona. Now that you’ve stock piled your data, consulted your site analytics, and gained key insights into the minds of your target audience, it is time to build your buyer persona. It’s quite important to give your persona a name as it helps to humanize them, in turn helping you enhance your marketing efforts. 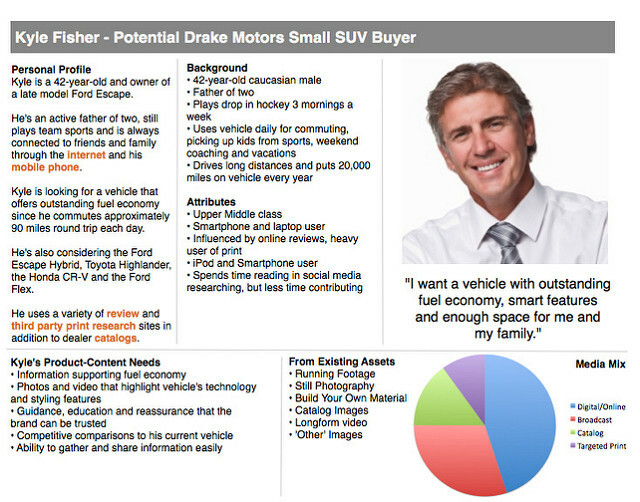 Consider how you would describe or communicate your product and services to this buyer persona. Call it a mission statement around which all of your marketing efforts will revolve. An elaboration of your key message, this will be a consistent communication based on how you’re going to sell your brand to this person. Our furniture not only fits into our laptop bag with ease, but it’s adjustable, ergonomic, looks incredible, and is made by using ethically-sourced materials. It’s important to understand that your personas will evolve as you gain fresh ways of uncovering insights and learn more about your main customer types, in addition to the things that motivate them the most. As you gain a deeper understanding of your customer-base and as consumer attitudes change, make sure you go back and constantly update your buyer personas, editing and adding to them to make sure you’re targeting your audience in the most meaningful way possible. According to HubSpot, creating solid buyer personas has made websites between two and five times more effective and easier to target by users. Moreover, personalized emails have the power to boost click-through rate by up to 14% and conversion rates by 10%. It’s plain to see that effective buyer personas are essential to the success of your business. By following this guide and taking the time to build up to four buyer personas for your business, you’ll be able to craft content and create campaigns that not only strike a chord with your audience but will help your brand flourish with your customers. We wish you the best of luck and for more innovative ideas, read the seven habits of highly effective retailers.